Highly anticipated: Divinity: Original Sin 2 Definitive Edition has arrived for consoles and PC. Current PC owners will receive it as a free upgrade, while many console owners will be seeing it for the first time. All are in for a treat. 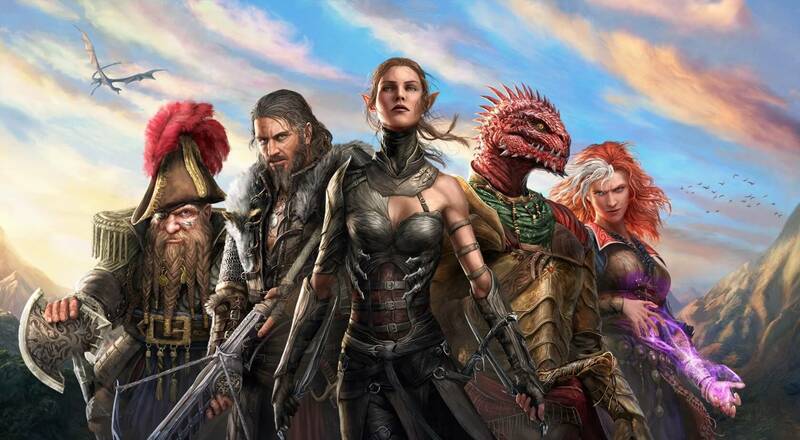 TechSpot editors have repeatedly referred to Divinity: Original Sin 2 as one of the greatest RPGs around. It was featured in our Best PC Games (You Should Be Playing) as “the best role-playing game in years.” We weren’t the only ones that liked it either as it earned a 93 metascore with no bad reviews from critics. Back in June, developer Larian Studios announced that it would be releasing the Definitive Edition for PC, Xbox One, and PlayStation 4 on August 31. Publisher Bandai Namco surprised PC players with a day early release on Thursday. As of today, the game is also ready for download on PS4 and XB1. The Divinity: Original Sin 2 was designed from the ground up to be played using keyboard and mouse, so it’s going to play somewhat differently on consoles. Fortunately, Larian took the time to modify the UI in the console version to be a bit more efficient for controllers, but it is likely to feel a little clunky to those who have played it on PC. Not everyone’s a fan of beard-friendly games where knowing that some dice have more than six sides is an advantage, but for those that are, Original Sin II is simply brilliant. As previously mentioned Divinity: Original Sin 2 Definitive Edition comes as a free DLC to current PC owners. Everybody else is looking at the typical $60 price tag, but it is well worth your gaming dollar.